Introducing the new Banana Phone 10.5, with all new Ray-O-Vision! This is an obvious hyperbole but the message remains the same, our kids are being inundated with technology. It’s in their commercials, on their cereal boxes, and being worn and carried by their classmates. It’s how we communicate with our distant loved ones, how we look up important facts, and even in cars! We watch Netflix on our smart TVs and make phone calls through Facebook. Everywhere you turn, technology has seeped in and changed the way that we run our day-to-day lives. With the advancement of technology comes the advancement of dangers and nowhere is there more collective knowledge…and more potential hazards than the Internet. Introducing our children to these technologies is almost unavoidable and helping them learn the right…and wrong ways to use their devices can help pave the way for many future career fields and job opportunities. Those same devices that allow our children to expand their knowledge, however, can also make them the target for scammers and cyber bullies who can attack and demean them without our knowledge. As parents, it is our job to protect our children…even if that means from themselves. Growing up in 2019 and all of the new and growing concerns over cyber and personal security means that there has never been a better time for kid-oriented gadgets and smart devices. These gadgets have been uniquely designed to allow our little ones to explore and sometimes even create the world of computers that surrounds them without exposing them to danger. Many of these gadgets function without an Internet connection which can prevent your child from being exposed to inappropriate content. Others incorporate parental settings or teach technology concepts using a more hands-on format which can help our kids step away from the screens and back out into the world. We have gathered a selection of gadgets suitable for a variety of ages, interests, and skill levels from across the Internet. Whether you are looking to for an add-on to an existing homeschool lesson or looking to provide your little one with a chance to stimulate their creativity, we hope that one of our 10 Cool Gadgets for Kids will be the favorite gift that they open this holiday season! Go go gadget guide! Our new format is bound to make online shopping easier as it lays out the most important features of each product side by side. This page was recently updated with a couple of cool new gadgets that met the high standards to be included on our 10 best list. In addition, all existing product information was reviewed and updated for accuracy where necessary. This is not your average gizmo. The Sunnytech Stirling Steam Engine is also traditionally classified as an external combustion engine. The concept is simple, the differing metal materials that make up the flywheel as its base absorb heat at different rates. This difference in the ambient temperature causes the wheel to spin around and around as if in perpetual motion! This steampunk style science fair project come to life is easily set into motion using basic household objects. Simply pour a cup of hot water, set the engine on top and give it a quick spin with your finger. The temperature of the coffee versus the temperature of the air around the engine will provide all the energy it needs to continuously rotate. It also works great with coffee or hot chocolate! Even the difference between body heat, like your hand, and an air-conditioned room can be enough to set this whirligig off to the races! A Stirling engine is a heat engine that uses the concepts of compression and expansion of air for power, in this case, to turn an ornate flywheel. This engine model is like a living physics lesson for your child. Not only will it promote STEM learning by introducing concepts of thermodynamics and mechanical engineering but it will also help open up age-appropriate discussions about dozens of scientific concepts such as steam power, pressure, and other gas laws. Although this model does not require a full build in order to assemble, it does provide an opportunity to foster mechanical skills and encourage an interest in the sciences. This spinning gizmo is the perfect gift for the science-minded child in your life either as a standalone physics demonstration or even as part of a science fair project! In 2019, smart devices are everywhere. From tablets to smartphones, your child has most likely been exposed to touch screens for the majority of their life. In fact, it's not surprising to find toddlers today who are unfamiliar with the more traditional computing methods such as a keyboard and mouse. With the expansion of these computing technologies also comes an increased concern about cyber safety. When it comes to our children, finding devices that will allow them to explore their world without making them a target for predators can be a difficult, if not impossible, task. With the VTech Kidizoom Smartwatch DX your child has the opportunity to take pictures, play games, and even perform motion-based tasks just like your FitBit...without the ability to access the Internet! Removing the Internet connectivity from the device gives your little one the freedom to be ‘"just like the big kids" while allowing you the peace of mind to know that they are not online communicating with unknown elements. This smartwatch has been designed with kids in mind, featuring games and activity challenges dedicated to promoting mental and physical health. It also includes over 50 unique clock face options to give your little one a variety of personalization options. With the incorporated camera and photo effects, your child can regale your family with personalized photos for weeks to come! The VTech smartwatch provides a plethora of educational functions from the calculator which can introduce early addition, subtraction, multiplication, and division skills to the calendar to help your little one plan their day. The splash- and sweat-proof design provides extra durability for even the most rough-and-tumble kids. Easily rechargeable utilizing the included micro-USB cable, this wearable smart device is a portable way to help entertain and challenge your little one. It also encourages physical activity through the use of motion-sensing games and action challenges to keep your child exercising which can, in turn, promote better sleeping habits. Get your little one off your phone and back into the action with this smartwatch designed just for them! Software engineering is a rising field that is only expected to grow over the next decade. There is a huge demand in the job market for skilled coders to help create and maintain the next level of technology. In fact, in 2019 alone computer coders are projected to make upwards of $85,000 a year. Software coding is considered to be one of the fastest-growing and important job fields not only for now but also for the future so its no wonder that many toy companies are getting in on the ground floor to start training the next generation of engineers. Enter Anki Cozmo, A Fun and Educational Toy Robot for Kids. This delightful little robot has been designed to introduce coding in an easy to understand and simple-to-use format that is perfect for children. Cozmo comes pre-assembled and fully tested to work right out of the box and is capable of performing a variety of tasks. Pair your little one’s robot with the Cozmo app, a free download suitable with all Android and iOS devices, and you can start coding right away! The user interface on the app is simple and easy to understand, even for a total beginner. Simply drop blocks of code in a line and Cozmo will follow the direction to move, turn, spin, and even lift. Watch as it lifts and throws the three included cubes which can work as obstacles or props for your code. The challenges go up in skill level as your child discovers more of Cozmo’s personality, and may even spark an interest in a lifelong career path! This adorable robot is too cute not to play with! Pre-assembled and charged, Cozmo is ready for his first command right out of the box. Very little adult supervision or setup is required in order for your child to start coding and playing right away. Spark your child’s creativity while they learn the basics of coding using the Cozmo app to program and control their robot’s action. The block-based coding style is easy enough for children as young as 8 to understand and use. 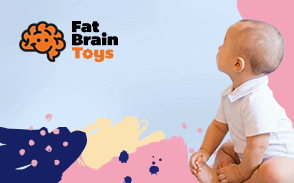 This STEM-based toy has been designed to help introduce early engineering concepts, such as cause-and-effect relationships and strategic thinking that can stimulate cognitive development. Cozmo is the perfect fun way to bring the interesting world of coding to your child, and help prepare them for the future job market! If you have a child who is always brimming with energy, they may actually need a way to burn through the excess and keep their mind partially occupied. This fidgeting, as it is sometimes termed, is actually a way for the mind of your child to maintain focus when they are required to keep still. This great product from aSmallfish is geared towards the constructive diversion of that energy, giving your child a way to divert their extra energy when they can’t run and play. The sturdy materials and complex design of this product will work wonders for your child’s fidgeting tendencies. The various configurations of plastic dice work like a puzzle without an endpoint, giving your child’s hands and peripheral brain functions an outlet when they can’t play. This product can actually help your child maintain focus when they have to sit and listen. In a world that runs on electronics it is not really a surprise if kids have a very keen interest on how these things work. Sure, you can try to explain to the different concepts of capacitors, ohms, wattages, and volts as well as other concepts but everything will simply be a blur to them. A much better solution is to give them the Smart Circuits Games & Gadgets Electronics Lab. This is a kit that will not only introduce your child to the thrilling world of electronics but also help entice him or her to develop his or her own electrical ingenuity with the Smart Circuits’ six base boards providing the framework for your kid’s creativity. The kit comes with a very detailed instruction guide on how to build up to 50 different electronic gadgets and gizmos using the various components of the Smart Circuits. With 10 smart modules providing a wide array of functions from microprocessing to LED lighting and a whole lot more, the Smart Circuits is one great way to let children create their own gizmos that light up, produce a variety of sounds, and more. The best part of it is that once these gadgets or games have been built, then your kid can start playing with them. If a child loves to find out how something works this is an ideal gift for them. The Smart Circuits Games and Gadgets Electronics Lab provides a kid with a way to enjoy putting together their own unique gizmos. All the gadgets created will also light up and produce sound to add to the overall experience This SmartLab product is a great gift for any aspiring inventor to create their own toys to play with. The Smart Circuits is an excellent instrument for kids to learn about electronics as well as the other concepts that are related to the development and operation of some of today’s ubiquitous gadgets. With so many MP3 players and other music boxes flooding the market, it would be a rarity to find an old-fashioned music box that you’ll have to crank to listen to its beautiful melodies. With the Over the Rainbow Crank Music Box, it will be more like traveling down memory lane back to the days when simple gears cranked by hand were already considered as space age technology. Now your kid can try to make a comparison between the technology of our times and the gadgets that they now have. This comparison should help them understand just how advanced the technology of today is. The good thing about the Crank Music Box is that it represents an old technology that still works like a charm every time you crank it and enjoy the soft melodies it produces. Kids don’t know a world without computers and smartphones, so maybe it’s not a bad idea to give them a gadget that actually looks like a piece of history. The Kikkerland Over the Rainbow Crank Music Box, is a gift that will still entertain a child without needing all the fancy technology of today. It will also show a child that some things can be classic and should be appreciated for their simplicity. It’s also a fun way to actually show a child that at one time there weren’t MP3 players and Smartphones but simple ways to listen to music. The Crank Music Box is a wonderful gadget of yesteryears. Your kid will appreciate just how technologically advanced these gizmos were at the height of their popularity and that these same outdated technology still works. Nature is the great teacher; the way that we all find our function and purpose in the grand cycle of this great Earth. Your child is probably already intrigued by biology, even if they aren’t capable of intellectualizing it. This miniature Terrarium is a beautiful way to get your child more intimately involved with the process of nature, a way to teach them how life thrives under the attentive hand. This terrarium will not only serve as a tool for educating your child on the nature of science, but also a great option for a night light or lamp for your child’s room. They can learn, and find comfort, in this great product from Mini Explorer. This product is a great way to educate and intrigue your child, as well as give them a unique lamp for their bedroom. Among all the kiddie gadgets we’ve reviewed, nothing can really come close to the fun and laughter we had with the Bonga Windup. This 8-legged metallic critter is so fun to watch as it crawls its way across any flat surface. Put your hand directly in its path and all Bonga will do is to climb over it. Kids simply need to wind it up and watch Bonga explore every nook and cranny of your home. Adults grew up with wind up toys so kids could benefit from playing with them as well. Bonga Windup is a fun way for kids to do just that. This clever uniquely made critter will move once a kid winds it up. That’s right no batteries or any other type of fancy electronic, it’s up to the child themselves to make Bonga move, which could make a kid feel a sense of accomplishment in itself, by having them be in control of the movement. Not recommended for younger kids, choking hazard. Bonga has a really infectious personality. And the way it moves will definitely make you want to imitate it. We live in a world run by computers, from your car to the cash register at your favorite morning coffee place. It’s not really surprising to hear that at any one time there are up to half a million software programming and coding jobs available within the US. That’s over 500,000 jobs waiting for someone with the right skills and technical know-how to step into, and this number is only projected to increase. STEM learning principles are at an all-time high in schools partly because of the need to foster interests in these types of sciences now in order for our children to be prepared for the job market that will await them in the next 10 to 15 years. Finding ways to teach your child to code has never been easier, with dozens of websites and online lessons available. The problem is that most of these apps and websites are designed for teens to adults and don’t provide appropriate tools to introduce coding concepts to a younger generation. Enter Ozobot, the Bit Coding Robot! This little gadget might look like a flying car from the Jetsons but is a powerhouse of coding knowledge that has been designed specifically to teach computer programming completely screen-free! Ozobot works by reading color combinations on either the provided activity tracks to tell it what to do. Your little one can also use the provided Color Coding Markers to draw their own tracks on any piece of blank white paper and begin learning how to make their robot perform dozens of different of actions. This provides your child with the basis of all modern computer programming and helps prepare them for the future. The STEM learning concepts that this little robot promotes are nearly endless! It introduces the concept of basic computer programming through fun and interactive activities. Utilizing the markers to create new code is an excellent way to develop fine motor skills and stimulate cognitive development. It can pair with the OzoBlockly mobile app to provide even more coding-based games that are designed to be visual representations of coding making them suitable for pre-readers. Beyond the technical aspects, the bot also comes with a plethora of stickers, skins, and pop outs that allow your little one to customize and personalize their Ozobot and encourages creativity and imagination. In a world where everything from school report cards to games of Solitaire require apps or Facebook logins, this robot provides an excellent interactive way to teach kids coding skills without requiring any external logins...or even a mobile device! It’s very infrequent that we can include a product on our list that doesn’t require any batteries or even electricity of any kind. So many models and toys today require complex electronics or flashy lights to provide interactivity but the real science lessons come when you can move beyond such gimmicks. The OWI Hydraulic Arm Edge Kit does just that. This multi-positional robot arm runs on water power alone! Your child will be able to explore the concepts of hydro-mechanical energy while they assemble their fully articulated arm. Six different movement points allow the arm to pivot at the elbow and the wrist, rotate at the wrist, base, and shoulder, and allows the gripper ‘hand’ to open and close. The gripper hand can also be removed and utilized as a suction-based apparatus instead! Your child will have complete control over the movement and manipulation of the arm that they created, opening up boundless opportunities to foster an interest in the sciences and promote STEM learning strategies! This STEM building kit provides a hands-on approach to learning concepts such as engineering, and hydraulic power. Building the arm requires your child to follow a detailed set of instructions which can help promote problem-solving and critical thinking skills. The assembly itself utilizes many small parts such as screws and even cutting tubing which can help develop and strengthen fine motor skills. Once the arm has been completed, the real learning begins as the arm provided opportunities for age-appropriate discussions on everything from mechanical engineering to robotics, to pressure and suction. The instructions do use several technical terms that may require an older sibling or adult assistance and can create opportunities for familial bonding and positive adult-child interactions. This water-powered robot arm is an excellent way to help foster an interest in mechanical engineering while still being just plain cool! Compiling this list of cool gadgets for kids really was a challenge to take on. Why you ask? Because it would seem that in today’s market, consumers tend to think of cool gadgets as being high-tech, electronic devices. Today, technology seems to be taking over, and kids certainly want to be part of the new revolution. The only problem is using devices such as laptops and smartphones, although they can sometimes enhance a child’s mind, there are concerns that these could take away other valuable developmental skills. When going about creating this list of some great cool gadget gift ideas for kids, we wanted to address these issues while providing gadget ideas that will expand a child in various stages of their growth. We also wanted to remind parents and show kids that cool gadgets don’t have to actually be electronic, there are definitely other kinds gadgets and gizmos out there that are just as much fun and also as beneficial. In order to do this we followed these chosen criteria. The mind is always expanding in learning, and the right gadgets can continue to expand a kid’s learning platform. Through certain gadgets, a child can further learn science and mathematics, just to name a few subject areas. Kids can even learn a new interest such as engineering or computer programming. Yes, through the right gadgets, the educational possibilities are endless. This is truly an essential skill to teach an older child and gadgets that are high-tech can definitely do this, if a parent encourages the child to care for the gadget themselves. Kids may learn that although some gadgets are indeed toys, there is still care involved in having one. These gadgets make it possible for kids to have fun on their own, but are also ideal to share the activity with someone else. This would include siblings and friends who can also enjoy the activity. Also, parents can even interact with their kids, sharing quality time while enjoying the activity that the gadget is supplying. Yes, gadgets can expand a child’s own imagination by giving them an opportunity to learn how electronics and technology actually work, for example. An opportunity to create their own fun-filled little world will expand the child’s horizons and at the same time allow them to perhaps find a new hobby or perhaps even a career goal. Today’s kids come from a time where laptops and other electronic mobile devices are common. Most aren’t even aware of what a typewriter, a phonograph, and even a pager are. So, whenever possible it’s always a good idea for parents to give a child a gadget that is nostalgic. It will help a child to know that there is more to life than electronic, high-tech devices. The child could also learn that these can be just as much fun and engaging as any technological device. This is one of the trickiest projects we have ever done. Why? Well, modern living is actually filled with a lot of gadgets. From our living room to the kitchen to our kids’ playroom and bedroom, there are gizmos and devices that are truly wonderful pieces of technology. Go to a toy store and you’ll see rows upon rows of toy shelves full of gadgetry. You could easily pick any one and your kid will enjoy it. We had to scrutinize every gizmo that our researchers have shortlisted. We specifically looked at the product’s developmental benefits to children. The more areas of development that are covered, the greater is the chance that the product will be included on our final list. This is very important as we firmly believe that gadgets serve a purpose. However, since we are talking about kids here and not adults, then we had to make sure that these technological pieces will be beneficial to their growth and development as well. Secondly, we had to make sure it’s safe for kids. Most of today’s technology run on some form of electricity, whether it is AC or DC. It is therefore imperative for us to check for electrical safety in these products, lest we expose our children to potential harm. The materials used in the product were also examined as a matter of safety. We then tried to consider how children would react if they are given any of these products. To help us understand children’s sentiments, we read hundreds of reviews and feedback from parents who report on their children’s experiences with these gadgets. While these are only second-hand information, they did prove invaluable to us in creating a mental image of how good this product can be in the hands of a kid. Man’s evolutionary development is closely tied to the advances in science and technology. There’s simply a lot of things we do now that have been simplified or made more convenient by these technological advances. Children, in particular, are able to benefit a lot from these modern-day gadgets and gizmos. Here are some of the benefits of today’s technology in the growth and development of children. Enhances creativity – Many of today’s gizmos allow children to use their creativity to the fullest. The creation of a particular gadget, for example, is made a lot easier by technology, allowing children to explore the infinite number of possibilities in their creations. Aids in understanding science and technology concepts – From computer programming to engineering and principles of physics, children can use many of today’s gadgets as an example of how these concepts apply in real life. This greatly aids in their understanding of the different principles inherent in any professional discipline. Promotes a healthy self-concept – When kids are able to create something extraordinary, maybe a robot or a computer, this gives them a sense of accomplishment which also enhances their self-esteem and self-confidence. The end result is a much healthier self-concept, enabling them to function in a much more progressive manner in the real world. Improves social interaction skills – Many of today’s technology helps improve children’s social interaction skills. As kids are introduced to different science and technology concepts, they widen their vocabulary as well as an understanding of how the world works. This can be the basis of a more successful establishment of social relationships. There are many gadgets and gizmos in the world. Everywhere you look, there’s bound to be a gadget that kids can be fascinated with. You can also get any of our 10 cool gadgets for kids in case you are not sure which ones will work best for your child. Q: Do these gadgets come with an instruction booklet? A: Some of the ones listed here do indeed come with an instruction booklet. It is highly recommended to keep the booklet to ensure that the gadget is always well-maintained. These instructions booklets will contain viable information that will always be important to know. Q: Should I be concern about those gadgets that contain lithium batteries? A: Odds are right now a parent and even their child already own a laptop, a smartphone and perhaps a tablet computer among other mobile devices. All of these also contain lithium batteries, so it would be hard to avoid this type of battery these days. Lithium batteries have become quite popular due to the fact that they are compact and rechargeable, making them an ideal battery for our mobile devices. However, there is reason for concern, as there have been reports on gadgets containing lithium batteries exploding and catching fire. The best thing to do is to remember that lithium batteries need a certain amount of care and safety consideration. For example, make sure the child never gets any gadget that contains this battery wet because moisture can damage this battery even when it’s properly encased in the unit. Also, make sure that the gadget never gets overheated, that it is always stored away at room temperature or in a cool dry place. There are other safety guidelines for lithium batteries that can be found online and it’s strongly recommended that any consumer read these guidelines to ensure that all their devices containing this battery are being properly cared for. Q: Should I monitor my child’s time playing with a gadget? A: Gadgets can be fun-filled toys and yes, there are times when a child could get so wrapped up in what they are doing that they will need a parent to help get them to take a break away from the gadget. The gadgets featured on this list will certainly occupy a child, and a parent will need to have a certain guideline of time in place when giving the gadget to the child, such as telling them that they can spend an hour playing with the gadget. If the guidelines are put in place early on, the child will understand there are parameters that will need to be followed. Q: Do these gadgets come with a warranty? A: It will depend on the type of gadget and the company. The best form of advice is if a limited warranty didn’t come with the gadget and the consumer feels one may be required, go to the company’s official website to see if they offer a warranty for things such as damage and replacing missing parts. Q: Should I teach my child how to care for these gadgets themselves? A: Definitely! This is another important part of a child’s development learning responsibility. These days kids want high-tech gadgets such as an iPhone or a laptop computer but, are they responsible enough to care for these? So, teaching a child with the gadgets listed above how to ensure that the gadget stays clean, to follow all instructions and in the case of electrical options not having any type of drink or water around it, will help the child learn that when having a high-tech gadget there is a certain amount of care that is involved. Q: Would my child really be interested in wind-up gadgets? A: Definitely, over the years, the types of wind-up gadgets and gizmos have changed due to the changing times, but there are those time-honored types such as wind-up robots or cars that will still interest a child. Also, wind-up toys actually help a kid when it comes to strengthening motor skills since kids need to grab hold of the wind-up feature in order to get the toy to work. Plus, believe it or not, a child might actually be fascinated by the fact that this gadget can play music or move without any batteries needed. Make no mistake about it, wind-up gadgets and gizmos are still quite popular.